On October 22, 2016 the University delegation headed by the vice-rector for scientific and pedagogical work Volodymyr Sharan took part in celebrations to celebrate the 25th anniversary of Akademia Polonijna in Częstochowa (Poland) and the beginning of the academic year. During the visit, they discussed the further cooperation between the two institutions. 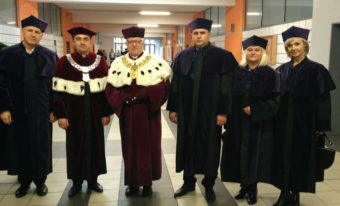 We wish our partner university new achievements, welfare and prosperity.